We can no longer imagine our everyday life without plastics. In the car, at home or during our leisure time – they are ever present. The high tech plastics Durethan, Pocan and the composite material Tepex from LANXESS also help various industries to make longer lasting products. Courage, fitness and endurance – these traits were in demand in July 2015 in an Alpine Cross event. What was special here: The participants crossed the Alps on foot and with a paraglider over the distance from Salzburg, Austria to Monaco – 1038 kilometers. One of them was Paul Guschlbauer. The Austrian extreme athlete was the third to reach the goal in this extraordinary competition. 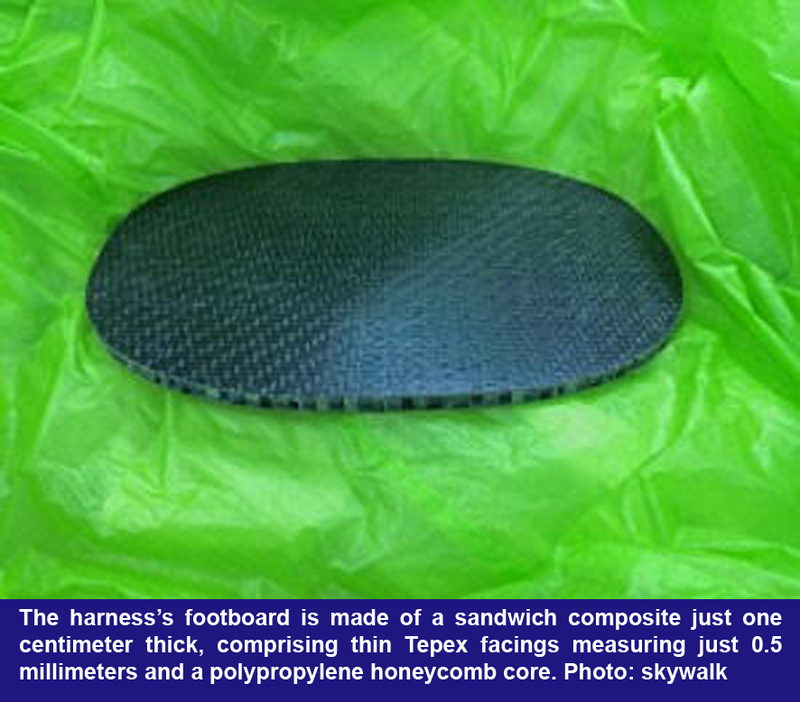 Part of his paraglider was made of the composite material Tepex dynalite from the LANXESS affiliate Bond-Laminates. The continuous roving glass-reinforced high-performance composite, based on high-tech plastics, was used in the RANGE X-ALPS paraglider-reclining harness from Skywalk GmbH & Co. KG. The harness’s base plate consists of a sandwich composite only one centimeter thick, with Tepex cover layers each only 0.5 mm thick and a polypropylene honeycomb core made by the firm EconCore N.V.
To control the harness the pilot must keep his body tense by shifting his weight. To do this he supports himself with his feet on the plate of the reclining harness. In extreme situations, such as sudden turning maneuvers in front of steep rock walls, very high forces act on the plate – comparable to the brake pedal of a car being pressed all the way down to avoid an accident. “The plate was certainly up to this challenge. The bending stiffnesses and bending strengths of such sandwich structures, depending on the thicknesses of the cover layers and the honeycomb core, can be greater than those of sheet steel and aluminum – and with a distinctly lower weight per unit area,” explains applications developer Harri Dittmar from Bond Laminates. The characteristics of Tepex are also in high demand in other sports. For example, the lightweight construction technology from Bond Laminates can be found in shoes, snowboard helmets and bicycle brake levers, among other places. But the characteristics of plastics do not just offer solutions in sports. A glance at highway traffic makes it clear that light materials are in demand here as well. There are about one billion cars in the world, and experts say that this number will more than double by 2050. This means: Fuel consumption, environmental pollution and congestion will continue to increase. Therefore, cars must become more economical and more environmentally sustainable. One way to accomplish this is to decrease vehicle weights. The lighter a vehicle is, the less fuel it uses, and the less CO2 it gives off. Light, high-performance plastics today are so stable that they can replace heavy metals in automotive construction. In addition they are rust-free and flexibly formable, which allows for the implementation of new design concepts and better integration of other components and functions. Besides Tepex, LANXESS has Durethan brand polyamide (PA)-based plastic compounds and Pocan brand polybutylene terephthalate (PBT)-based industrial plastics in its product line. Durethan types are used in the automotive industry in various products, such as air intakes, door handles or receptacles. The plastics reduce the weight of certain structural components by as much as 50 percent compared with metal. Thus they contribute to increasing fuel efficiency. One example is the front-end module carrier of the Skoda Octavia. It consists of a Durethan brand fiberglass-reinforced polyamide from LANXESS. 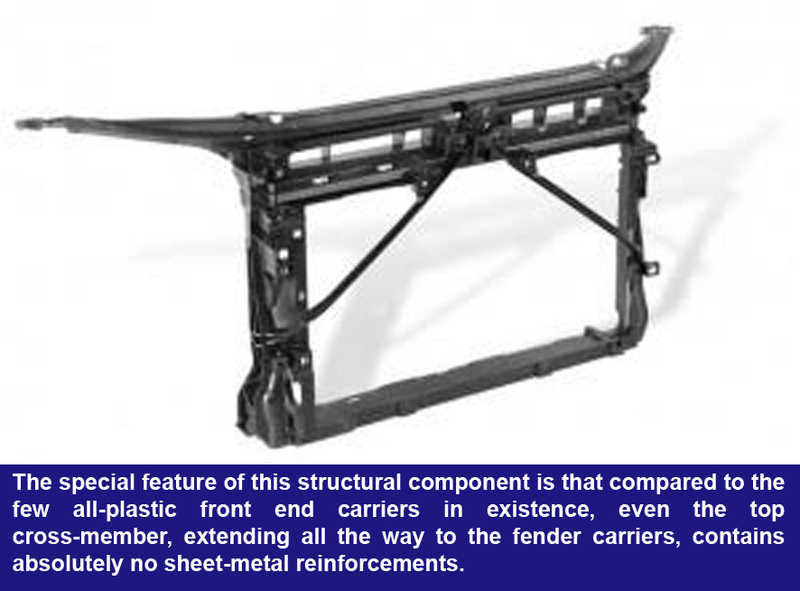 What makes it special: Compared to the few all-plastic front end module carriers available until now, the upper cross bracing of the component is made entirely without reinforcing metal sheets. The weight of the front-end module carrier can thereby be reduced by 1.2 kg compared with alternative concepts. Pocan is a leading material in the electrical and electronics industry. It has insulating properties and is heat-resistant and very stiff. Thus, for example, the screw-in bases of modern energy-saving light bulbs are made of fiberglass-reinforced Pocan. Additional applications include parts of clothing, plugs and housings for electronic components. LANXESS is developing flame-retardant Pocan and Durethan types for the electrical market. They must reliably meet the tightened regulatory requirements for safety. The use of halogen-free flame-retardants in particular will play a big role in the future. 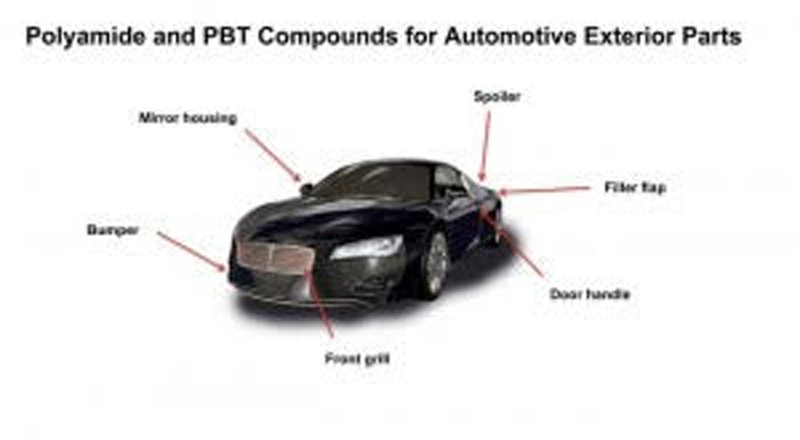 The Tepex brand thermoplastic fiber composite materials are not only used in gliders, but also in automotive construction, among other things. Because of their continuous fiber reinforcement, such as with glass, carbon or aramid fibers, along with their low density, they are outstandingly well suited for light construction. For example, air bag housings made of thermoplastic composites can be made much thinner without curtailing rigidity and strength. These housings are about one third lighter. 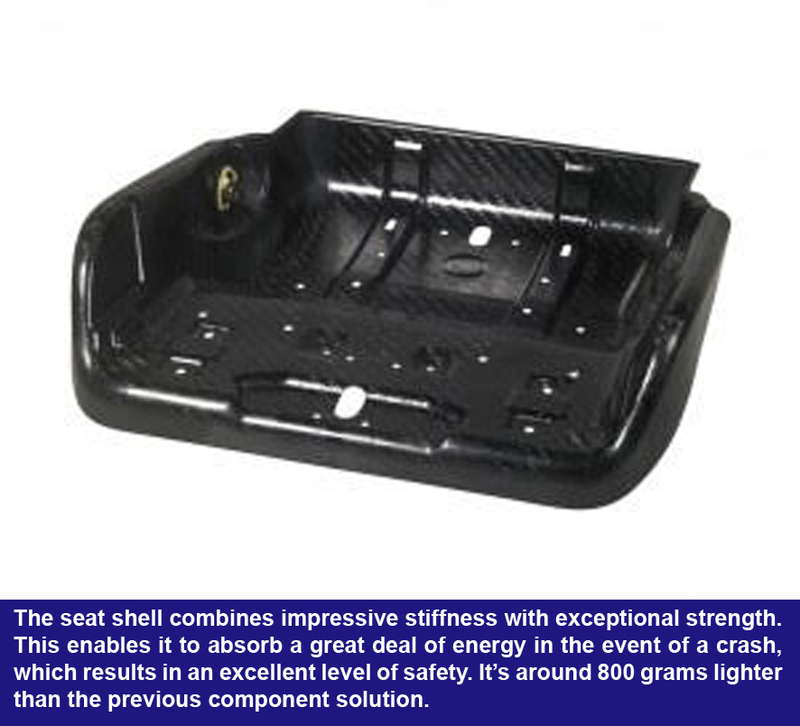 The weight of car seat shells can also be distinctly reduced with Tepex inserts as compared to steel construction. For example, the Opel Astra OPC has a car seat shell manufactured using hybrid construction with a thermoplastic Tepex composite reinforced with continuous fibres.